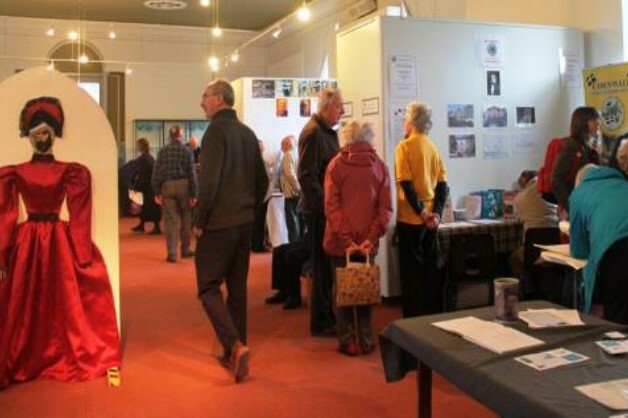 In March of this year Cornwall Museums Partnership and SW Museum Development hosted the very first Cornwall Heritage Awards to celebrate and champion the amazing work that’s taking place in our museums. 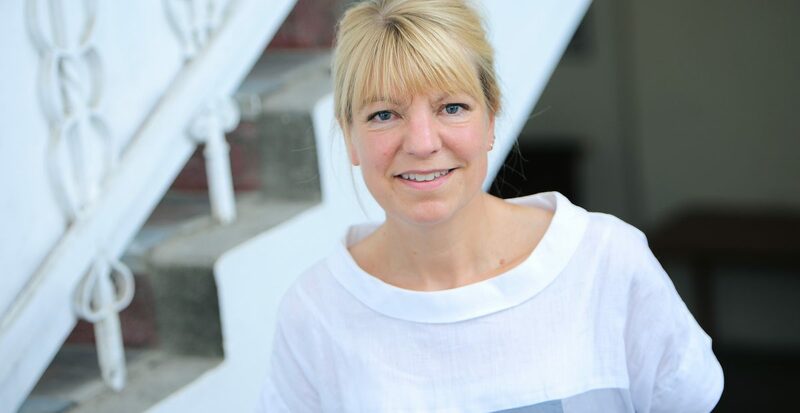 This week we are focusing on the work undertaken that has introduced new audiences to heritage. 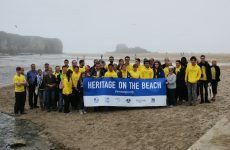 Perranzabuloe Museum created a pop-up museum on Perranporth beach, complete with a programme of talks that highlighted the mining heritage evident in the landscape around them, for the many diverse visitors to the beach. The museum was open with a display about the impact that climate has made on the beach. 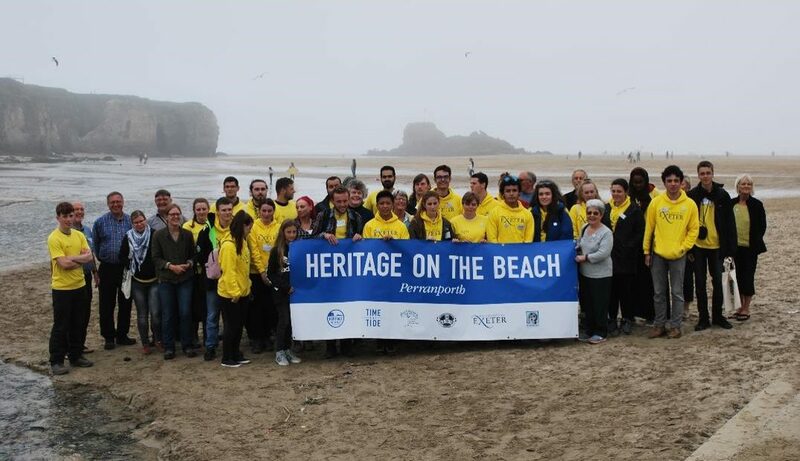 The project was a partnership between the museum, parish council and Exeter University, and students helped with public surveys and promotional activities that helped to attract new audiences and raise the profile of Perranporth’s mining and environmental heritage. Time and Tide was a collaborative project between Blystra Arts and the museum, to create a range of creative activities that encourage engagement in heritage. These included a historically accurate play with choreographed dance sequences and original music. The museum also provided heritage walks and talks and activities for school children. They play was performed to a large audience at Newquay’s Art8 festival, and will be reproduced at the many more festivals in Newquay throughout the season. The Poly volunteers worked with community partners to deliver a week long local history festival to celebrate the people who ‘lived in a place like this’ and bring the rich cultural heritage of the Falmouth area to life. The programme included a range of traditional, creative and learning opportunities designed to appeal to a wide range of people including a family fun day, mini film show, schools’ activities and a Cornish Cabaret performance. The project was aimed at introducing and inspiring people who do not normally engage with heritage. 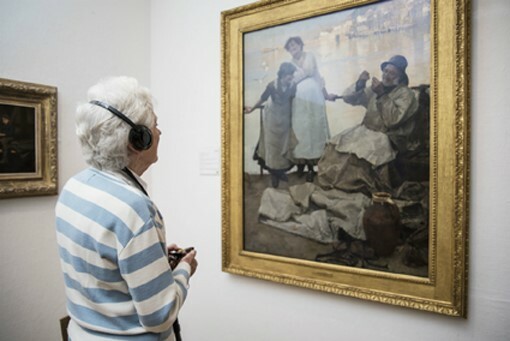 The museum undertook a range of activities to find ways that would enable people with partial or no sight to access and enjoy the museum and art gallery. Working with iSight Cornwall who support people with visual impairments, and the Penzance Macular Society, they trialled a range of interpretation tools to improve the gallery visit including audio guides, LED torches and adapting the building with tactile ‘bumpons’ for lift buttons and stair rails. 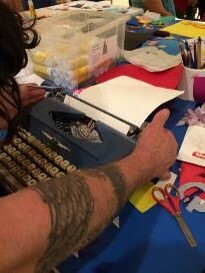 The museum also provided workshops that led to an exhibition of their work. Staff and volunteers gained training in welcoming and guiding visitors with visual impairments. Falmouth has around 5,000 students, who rarely visit museums in the town, so Falmouth Art Gallery decided to run an event to engage them. Working in conjunction with four tutors of Falmouth School of Art the gallery held the First Falmouth Art Publishing Book Fair. The Book Fair had four distinct strands: independent publishers with stalls in the 3 galleries on first floor; talks in the Council Chamber; workshops and performances mainly in the Library spaces. The project complemented the ‘OUTspoken’ exhibition of movements and manifestos. The major temporary exhibition Tattoo: British Tattoo Art Revealed was the largest gathering of objects and original tattoo artwork ever assembled in the UK featuring over 400 artworks, photographs and historic artefacts. 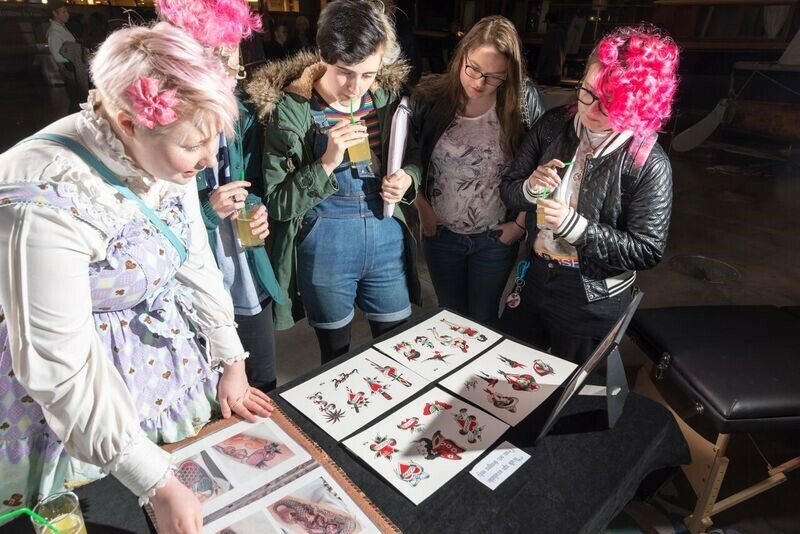 The audience was engaged in co-curating the exhibition, and people were able to tell the stories of their tattoos as part of the museum interpretation. The museum ran a supporting programme of late openings and exciting events. The museum aims to continue to engage a younger audience with targeted programming in future years.